Online and social media audiences have been moving away from text alone and toward images and video over the last few years – which is why platforms like Instagram, Vine, Pinterest, and YouTube have become relevant business tools. That’s also a reason many businesses consider YouTube for marketing. YouTube offers businesses a way to get in front of millions of eyes and build brand awareness. 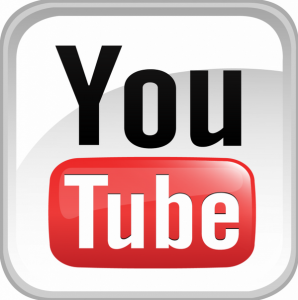 There are many directions to take YouTube, depending on your business and your goals; here are four key guidelines to keep in mind that will help you use YouTube to market your business. Write a script, and keep your videos short and effective. Videos don’t have to be over the top or professionally produced to get attention, but they should be a little outside the box. A great example is Blendtec’s “Will It Blend?” series. The company skipped over obvious demonstrations like fruit to blend the unexpected, like glow sticks – and even a crowbar. If you’re intimidated about the process of making a video, don’t worry: there are myriad video editing tools out there that will let any small business owner with a smartphone make a great video, including iMovie, Adobe Pro Elements, and Pinnacle. Think beyond the individual video, and avoid comparing each video you make with viral hits. Not every business will be able to put out videos with the viral success of some Old Spice commercials, and that’s OK. Instead, think about creating a YouTube channel and populating it with videos consistent with what audiences expect from your brand (YouTube has a tutorial for setting up a channel here). If you sell hardware, for instance, a series of how-to videos will be genuinely helpful and will draw an audience while reinforcing your brand. Another great example of building a brand and using YouTube to market services is the transportation app RideScout’s YouTube channel. RideScout uses YouTube to share humorous how-to videos related to using options like carpooling and bike sharing, but it also shares videos of mobility panel discussions it’s involved with. No matter how witty or helpful your YouTube channel is, you’re going to have to do a little work to get it in front of your audience. Promoting it is one way; email your business contacts and customers, share your channel on your blog, and promote it on social media. Another way is to engage with the YouTube community, just as you would for other forms of social media. Connect with, share, and favorite relevant YouTube users or with other channels that your business supports. You’ll learn from them, and gain followers organically. Take the time to watch videos that competitors and peers in your industry are making, and notes what’s popular. Some YouTube users can block how many views a video has, but usually you can see the number of people who have watched each video. Use the popular videos relevant to your business to learn what others are doing to drive YouTube success. YouTube has removed its keyword tool, but you can use the regular “search” option within the site to find other channels, or search through a business’s website.